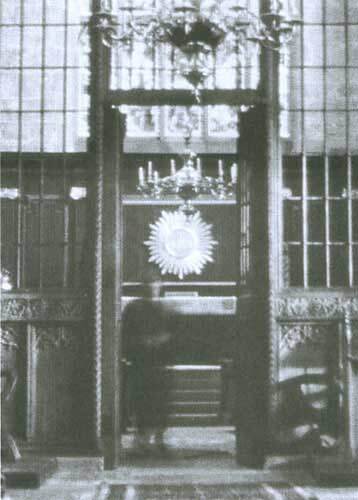 This photograph was taken inside the Sefton Church in September, 1999, in Merseyside, England. There was only one other photographer in the church beside the person who took this picture. Neither of them recalled seeing the ghost or any flesh-and-blood person standing there who could account for this image.